Applications are now open for the 2014 Fringe Sustainable Practice Award, celebrating the greenest and most sustainable shows on the Edinburgh Fringe. This project, a partnership between Creative Carbon Scotland and the Center for Sustainable Practice in the Arts, with media partner The List, rewards shows which engage their audiences with sustainability, take responsibility for their environmental impacts, and think big about how the arts can help to grow a sustainable world. Applications are open from February 19th to July 18th, with a shortlist announced in The List on July 30th, and the winner announced in a ceremony at Fringe Central on August 22nd. Shortlisted shows will receive coverage in a special feature in The List on the Fringe Sustainable Practice Award, published on July 30th, and reviews of shortlisted shows will be highlighted in The List’s festival issues and website. The organisers of the Award are seeking to bring new publicity and audiences to productions working hard to do their best work and to do it sustainably. The winner will receive the Award itself along with a special feature and coverage in the Center for Sustainable Practice in the Arts’ Quarterly Magazine. The award for Sustainable Production on the Fringe was first launched in 2010 at the Hollywood Fringe and Edinburgh Festival Fringe. Previous Edinburgh recipients include: The Pantry Shelf (2010), a satirical comedy that takes place in any ordinary pantry shelf, produced by Team M&M at Sweet Grassmarket; Allotment (2011) by Jules Horne and directed by Kate Nelson, produced by Nutshell Productions at the Inverleith Allotments in co-production with Assembly; The Man Who Planted Trees (2012) adapted from Jean Giono’s story by Ailie Cohen, Richard Medrington, Rick Conte and directed by Ailie Cohen, produced by the Edinburgh’s Puppet State Theatre; and How to Occupy an Oil Rig (2013), by Daniel Bye and Company, produced at Northern Stage. Awardees have gone on to future success on the Fringe and presentations around the world including as close as Cardiff for World Stage Design, and as far as New Zealand and all across the US and Canada. 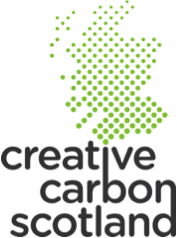 Creative Carbon Scotland is a partnership of cultural organisations using the arts to help shape a sustainable Scotland. The Center for Sustainable Practice in the Arts is in the Arts is a Think Tank for Sustainability in the Arts and Culture. 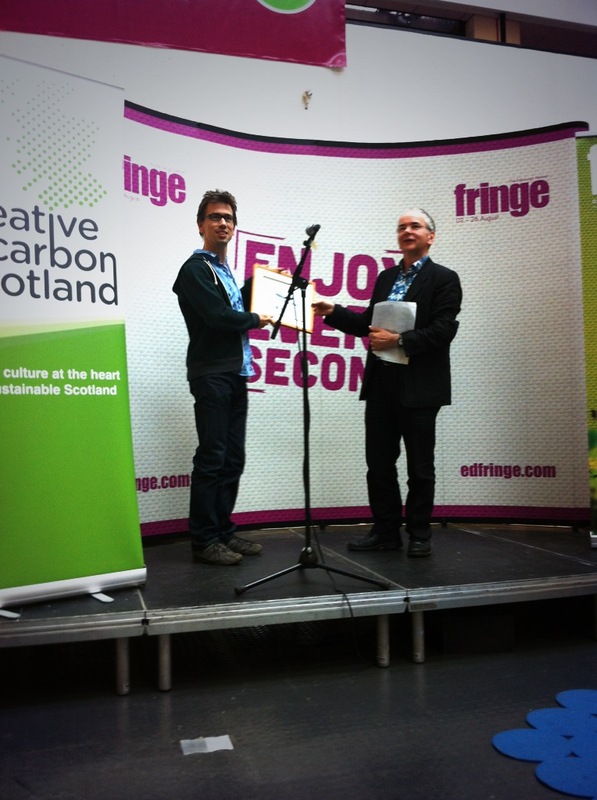 Daniel Bye receives the 2013 award for Sustainable Production from Creative Carbon Scotland’s Ben Twist. Creative Carbon Scotland and the Center for Sustainable Practice in the Arts, in partnership with the List, presented Bye with Award at Fringe Central on August 23rd. 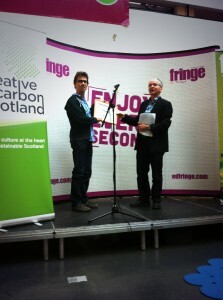 In a ceremony in the concourse at Fringe Central on Friday, August 23rd at 4:00 pm, Ben Twist of Creative Carbon Scotland awarded Daniel Bye the 2013 Award for Sustainable Production at the Edinburgh Festival Fringe after presentation by Ian Garrett of the Center for Sustainable Practice in the Arts and Sholeh Johnston of Julie’s Bicycle. This was the fourth year of the award’s presentation. Applicants and fringe participants alike enjoyed complimentary beverages and snacks with support from Vegware, producers of compostable food containers. The Sustainable Production Award is an annual celebration of performance that’s working for an environmentally sustainable world. Open to all Fringe Festival productions by application, the award assesses all aspects of a production’s sustainability, from design to content. This award ceremony recognizes the best in this year’s sustainable productions, alongside inspiring presentations from Creative Carbon Scotland, the Center for Sustainable Practice in the Arts, and Julie’s Bicycle. The Sustainable Production Award is presented this year in partnership with The List, which is reviewing all shortlist shows and promoting the awards events. The award is determined by the submission of a questionnaire about how the show was produced, and how environmental and sustainable themes were considered along the way. Assessors selected a short list of 23 productions, which appeared in the weekly editions of The List. These 23 shows were reviewed based on their questionnaires and the assessment team voted for the production which most aligned with the priorities of the award. 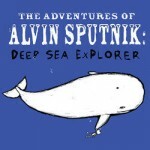 Five finalists–Adventures of Alvin Sputnik: Deep Sea Explorer, The Garden, and Garden O’ Delight, How to Occupy An Oil Rig, Sacred Earth–were identified as outstanding entries before the winner was selected last week. “Even more so than we want someone to score perfectly on the questionnaire we use to evaluate shows, we want theater artists to look at the questions and think about how it helps to guide their thinking about sustainability in the their art. There may be questions asked in ways they hadn’t thought, and we hope they ask these questions of their next project and the project after that,” adds CSPA Director Ian Garrett. The award for Sustainable Production on the Fringe was first launched in 2010 at the Hollywood Fringe and Edinburgh Festival Fringe. Previous recipients include: The Pantry Shelf (Edinburgh 2010), a satirical comedy that takes place in any ordinary pantry shelf, produced by Team M&M at Sweet Grassmarket; Presque Pret a Porter (Hollywood 2010), produced by Dreams by Machine; and Allotment (Edinburgh 2011) by Jules Horne and directed by Kate Nelson, produced by nutshell productions at the Inverleith Allotments in co-production with Assembly. Last year recipients were D is for Dog by Katie Polebaum and the Rogue Artists ensemble, directed by Sean Calweti (Hollywood 2012) and The Man Who Planted Trees (Edinburgh 2012) adapted from Jean Giono’s story by Ailie Cohen, Richard Medrington, Rick Conte and directed by Ailie Cohen, produced by the Edinburgh’s Puppet State Theatre. Ian Garrett and Miranda Wright founded the CSPA in early 2008. The organization provides a network of resources to arts organizations, which enables them to be ecologically and economically sustainable while maintaining artistic excellence. Past and Present partnerships have included the University of Oregon, Ashden Directory, Arcola Theatre, Diverseworks Artspace, Indy Convergence, York University, LA Stage Alliance and others. Creative Carbon Scotland is a partnership of arts organisations working to put culture at the heart of a sustainable Scotland. CCS believes cultural and creative organisations have a significant influencing power to help shape a sustainable Scotland for the 21st century. 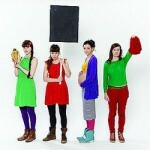 Sustainable Production Award at #edfringe Shortlist. You still have one week to catch the shortlisted shows for the Sustainable Production Award at the Edinburgh Festival Fringe. If you haven’t caught the list of productions which have stood out to our team of Judges, here are all 23. For a teenager what’s worse? Growing up in America? Or growing up after America? Five young people face the struggles of their post-nuclear lives, in a wasteland that was once America, after the Cold War turned hot. They strive to overcome the oppressive authority of their parents and teachers, the hopelessness of the crater that they call home, and a dark sickness that threatens everything they hold dear. Chris has lovingly repaired his family Triumph Herald Estate so that he can drive it from his home in Colchester to Rome. Part investigation into his father’s account of his time as a Polish soldier in the Italian Campaign and part muse on consumerism, this show brings together car mechanics, classical civilisation and the fetishisation of possessions in a solo performance using old photos, new film and surprising mechanical objects. A feast of razor-sharp observations and bizarre confessions extending beyond the immediate subject matter to grasp at universal truths. Total Theatre, Poland 3, Iran 2. Seas have risen, billions have died. Alvin Sputnik is our only hope. He must venture to the bottom of the ocean to find his wife’s lost soul and save humanity. Direct from sell-out seasons in New York, Sydney and Auckland, this multi award-winning piece of heart-warming ‘theatrical magic’ (Sunday Mail) is a one-man micro epic about enduring love and the end of the world. ‘Akin to a theatrical Wall-E’ (New York Times). Winner, Outstanding Solo Show, New York International Fringe Festival. 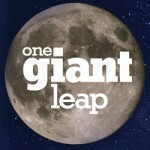 Winner, Best Theatre Production, Auckland Fringe. Winner, Best Puppetry, Adelaide Fringe. Even the best and wisest amongst us do things we later regret… Under the bleak skyline of the industrial revolution, a company assembles to pass judgement on the greatest of a generation. 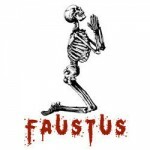 In this gritty, steampunk-inspired retelling of the classic, an ensemble of actor-musicians and puppets bring to life the fall of John Faustus. In the bowels of the industrial revolution, change is brewing. A particular kind of hunger is bubbling inside one of the world’s most powerful minds, and when an offer is made that promises to satisfy that hunger, he makes a choice. A bargain. With the devil. Flying drum kits, levitating ironing boards and swinging divas. Welcome to the world of the unexpected! Irreverent and silly, bold and breathtaking, take flight with Flown for a captivating afternoon at the circus. A stunning troupe of masterful acrobats, aerialists, dancers, musicians and stuntmen are putting on a show for you. The problem is, the show has already started and no one is prepared. Taking you to dizzying heights and beyond, Pirates of the Carabina invite you to share in the thrills, fear and physical feats that define the life of a 21st-century circus artist. Journey back in time and join magical creatures who live in this beautiful world. But someone wants to destroy it forever. 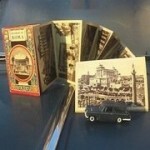 Outside, promenading, interactive family fun with an ecological theme. Music by John Sampson. Dark times have befallen the forest clearing where a journalist, a director, a painter, and a witch lament the lost Philena. Devoured by the gypsy moths, the forest crumbles slowly as the mysterious prophet Asphodel draws near. Entwined in the forest mythology the characters delve deep into one another’s psyche, a magnetism they are powerless to avoid. Fresh new writing in the spirit of the Brothers Grimm, for grown-ups. There are all sorts of lessons to be learned in life. How to get served at the bar. How to crash a boardroom meeting. How to avoid becoming romantically attached to an undercover police officer. That sort of thing. In this playful and provocative show about protest, you’ll learn how to do all of this and more. 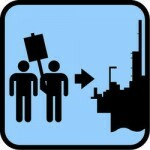 Funny, surprising, and not a little sad, How to Occupy an Oil Rig is for everyone who ever wanted to change anything. And that’s everyone. You get to play with plasticine, too. Produced by ARC Stockton. The award-winning interactive performance/installation and fully-functioning cafe returns! Expect a playful exploration into customer expectation, where food, service and business are the art. Festival staples, includes the sensational signature dish, the roast dinner sandwich which can be found on the menu alongside Coco-Pops, Battenberg and beans on toast. With guest waiters, themed days and activities such as their much loved Not Great Bake-off. We are here to serve. Prepare for appetites to be satisfied in more ways than one. 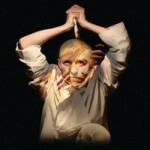 ‘A must-visit Fringe experience’ **** (Scotsman). ‘Holly Darton and Jenny Hunt are wowing the Fringe’ (Observer). 2046. Great Britain is underwater, except for one tiny island with a population of two: Marilyn (28, ruthless survivalist) and Josie (17, childlike). They don’t get on. A new darkly comic play about national identity, friendship and tennis, Island State is the story of two women’s struggle to keep going in the face of environmental catastrophe. ‘Quirky, dark and ultimately surprising … a striking portrayal of human nature and all its intricacies’ **** (DurhamTheatreReview.com). Winner: Best New Writing and Best Actress, Durham Drama Festival 2013. This is the moment that the real life of the plastic bag begins its own life without us. An ethereal and magical performance art piece, accompanied by the classic Debussy music. 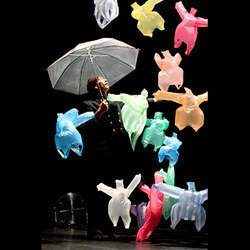 A ballet mistress has created a piece of choreography performed by plastic dancers, propelled by currents of air on the lyrical music. The piece transports the viewers, sitting on the stage, to a world where the laws of gravity no longer exist and boundless adventures await. A beautiful journey that ignites the imagination. Last Land is inspired by frozen plains and dusty desert majesty. Maria Nilsson Waller reconstructs the vast scale and unpredictability of these contrasting landscapes in a highly physical, poetic work that invites us to consider the urgency of tectonic movement and the accelerating rhythms of nature and climate change. In award-winning Fabrizio Favale’s solo, Il gioco del gregge di capre, the dynamics of goats flocking are seen and re-imagined with the clashing of horns and the crashing of hooves. For the past two years Dan Canham (DV8 / Kneehigh / Punchdrunk) has been capturing conversations with people of the Fens, East Anglia. Eel-catchers, farmers, parish councillors, conservationists have all been interviewed. In this ethereal piece of documentary dance/theatre, Dan and his ensemble fuse movement and sound with words and memories from their native collaborators to get to the heart of this mysterious expanse of flat land, celebrating universal stories of rural communities fading from view. Exhilarating, poetic look at the inevitability of change from the voices of those who still know the old words. In a decrepit and bankrupt city, God’s body was found dead in a Sainsbury’s car park. 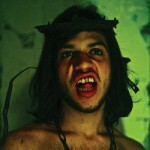 Since then, the annual Holy PG Tips competition has been held allowing citizens to audition to become the new God. Pigmalion is training his daughter to seduce God, believing He will come back from the dead and marry her. The play descends into the distorted perversion of building a family when all external structures have failed. Harrowing, dauntless, and deeply moving – Pigmalion Zoo doesn’t hesitate to expose the dangerous side of desire as it slowly corrupts nature itself. How much is beauty worth? What will people pay for an air guitar on eBay? Can I have a glass of milk? These urgent questions and others are answered in this performance lecture about value. Daniel Bye’s whistle-stop tour of bizarre facts and impassioned arguments is occasionally shambolic and often misleading but always a joy to watch. 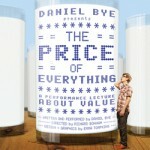 Comic, provocative and possibly a tiny bit sad, this show is a must if you’ve ever wondered about the difference between the price of an object and its value. And you get a free glass of milk. Ragamala’s Artistic Directors Ranee and Aparna Ramaswamy create visceral, universal experiences that use Indian dance (Bharatanatyam) to express their contemporary point of view. Sacred Earth explores the interconnectedness between human emotions and the environments that shape them. Inspired by the philosophies behind the ephemeral arts of Kolam and Warli and the Tamil Sangam literature of India, Sacred Earth is Ranee and Aparna Ramaswamy’s singular vision of the beautiful, fragile relationship between nature and man. Performed with live music; featuring guest Warli artist Anil Vangad. ‘Rapturous and profound … an excellent company’ (New York Times). What makes something worth standing up for? Can I change the world from my living room? What if I’m protesting, my costume rips and a picture of me naked ends up going viral? Inspired by courageous protesters who risk everything for what they believe in, four women find quirky ways to effect change in the world around them. Charting the performers attempts to stand up for what they believe in, The Smallest Light uses exciting visual storytelling to tell four explosive stories about what it is that makes us act. From Dallas, Texas, comes this smart solo comedy about love, old movies, great literature and unfinished jumpers. Like craft night with more laughs! Nora Ephron with needles! 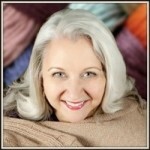 `Don’t talk to me about acrylic yarn,’ says writer/performer Elaine Liner, ‘it’s cheap and loud, like the Real Housewives of Atlanta.’ Knit and crochet during a show (yes, bring your stuff!) that’ll have you in stitches. Come early to the knit-in and add rows to the travelling scarf. Afternoon performance in air-conditioned venue. Suitable for all ages. `Elaine’s hilarious stories add up to a well-spun yarn’ (TheaterJones.com). New two-man musical from the people behind Dinosaur Planet, Hey Hey 16K and Moon Horse, featuring superheroes, robots, pirates, kittens and a free badge. ‘Like two drunk dads getting up and singing at a barbecue’ (BBC Radio 1). Applications are now opened for consideration for the 2013 Fringe Sustainable Production Award, designed to reward sustainable practice in the production of an Edinburgh Festival Fringe show. Productions are invited to engage their audiences with sustainability, take responsibility for their environmental impacts, and think big about how the arts can help to grow a sustainable world. Entries are invited from companies until 18 August, with shortlists announced on 5, 12 & 19 August and the final award being made on Friday 23 August in a ceremony at Fringe Central. This year, for the first time, a review of every shortlisted production will be published in The List and The List will also cover the shortlisting events. The winner will receive a special feature and coverage in the Center for Sustainable Practice in the Arts’ Quarterly Magazine. Ian Garrett and Miranda Wright founded the CSPA in early 2008 after individually working on each of the programs that now make up the multi-faceted approach to sustainability separately. The organization provides a network of resources to arts organizations, which enables them to be ecologically and economically sustainable while maintaining artistic excellence. Past and Present partnerships have included the University of Oregon, Ashden Directory, Arcola Theater, Diverseworks Artspace, Indy Convergence, York University, LA Stage Alliance and others. In 2011 we worked with partners Festivals Edinburgh, the Federation of Scottish Threatre andScottish Contemporary Art Network to support over thirty arts organisations to operate more sustainably. Support arts organisations, artists and audiences to be as environmentally sustainably as possible. Why sustainable practice in the cultural sector? Like all sectors, the cultural sector faces risks from climate change and the legal, social and economic changes it will bring. Much more than many other sectors, arts and cultural organisations have huge potential to provoke crucial public behaviour change. We believe cultural organisations are uniquely placed to address the challenges brought on by climate change through the art they produce, the audiences they speak to and the way in which they operate themselves. 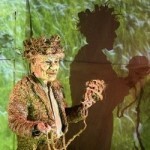 The Center for Sustainable Practice in the Arts (CSPA) has awarded the third CSPA Fringe Award for Sustainable Production at the Edinburgh Festival Fringe to The Man Who Planted Trees adapted from Jean Giono’s story by Ailie Cohen, Richard Medrington, Rick Conte and directed by Ailie Cohen. It is produced by the Edinburgh’s Puppet State Theater, and is currently on tour in North America. The award is determined by the submission of a questionnaire about how the show was produced and audience response. The Man Who Planted Trees’ production team was able to provide comprehensive technical information for the production, which showed a commitment to design and resource efficiency. This considered approach also factored into their communications and marketing. All of these factors were further supported by the themes of the play. The CSPA Directors, Ian Garrett and Miranda Wright adjudicated the award, along with select CSPA affiliates and friends. This year marked the beginning of a closer relation with Festival Edinburgh, which supports all of the festivals throughout August and the rest of the year. For the original Edinburgh Fringe application, Mhora Samuel and Tim Atkinson from The Theatres Trust’s European Regional Development Fund-backed Ecovenue project helped the CSPA adapt the criteria for a UK audience, providing guidance on UK equivalents to US name brands, as well as providing insight on measuring conventions and policy. “Even more so than we want someone to score perfectly on the questionnaire we use to evaluate shows, we want theater artists to look at the questions and think about how it helps to guide their thinking about sustainability in the their art. There may be questions asked in ways they hadn’t thought, and we hope they ask these questions of their next project and the project after that,” adds Garrett. Seminars about sustainability and the arts often, usefully but repeatedly, focus on energy use and material consumption. A public conversation at the Edinburgh Festival Fringe, ‘What’s the Big Idea?’, organised by Creative Carbon Scotland and Festivals Edinburgh, nodded to the material imperatives – the plastic cups – then shifted the discussion to the processes of making theatre that don’t fit with the accountancy of sustainability, to the unintended consequences of sustainable decisions, and to the need for sharing more technologies more widely. The conversation opened with provocations from Erica Whyman, Artistic Director of Northern Stage, and Anthony Alderson, Director of the Pleasance Theatre Trust, chaired by Harry Giles, Environment Officer of Festival Edinburgh, and hosted by Ben Twist of Creative Carbon Scotland. 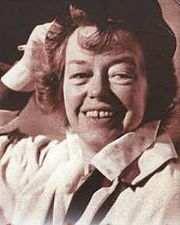 Whyman compared ‘getting lost’ to the need in theatre production for not adhering to absolute objectives, whether financial, material or ideological. 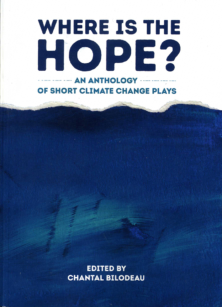 The question, for Whyman, is not why more artists don’t make work about climate change. Artists make the work they want to make; they are not essayists or teachers. Rather, artists get lost, and create something that surprises.< The surprises, or unintended consequences of working within financial constraints have meant theatres having to work with different economic models. Whyman’s example was Northern Stage’s decision to group together artists, makers and staff in accommodation in Edinburgh for their series of productions at St. Stephen’s church. 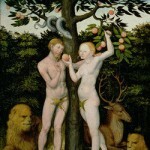 Inadvertently, they created a commune, a creative and powerful way of working together as a team. These aspects of consensus and democracy are forgotten, according to Whyman, in the accountancy of sustainability and in the apocalyptic narratives of climate change. Alderton spoke of the need to look for the wider questions behind the requests for the artistic community to recycle or use less energy. Every company working with the Pleasance plants a tree in Scotland. This is a trade. Theatres are places of trade, artistically and materially, and need to share their technologies, be less possessive about their productions and share ideas. ‘Getting lost’ figured in many of the audience’s questions. 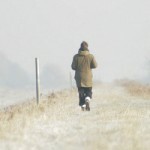 If theatre productions set the conditions for the audience to get lost in finding a new route, and organisations set the conditions for productions, how do directors and curators more immediately set the conditions for artists to ‘get lost’ in creating new work about sustainability or the climate? Why might artists not be willing to engage with, get lost, in the scientific and the political aspects of climate change? How can artists be encouraged to hold contradictory ideas in tension in creative ways, like the tension between where we are now, and where we could be heading? Too, there were questions about the relation between theatre and the public; about whether theatre should teach; about audiences’ carbon footprints and whether the arts world had responsibility for audiences' travel. The slight change of perspective connected the achievement of carbon reduction figures to the relations and effects between material use and communal, artistic and intellectual change – a viable new route. ashdenizen is edited by Robert Butler, and is the blog associated with the Ashden Directory, a website focusing on environment and performance. The Ashden Directory is edited by Robert Butler and Wallace Heim, with associate editor Kellie Gutman. The Directory includes features, interviews, news, a timeline and a database of ecologically – themed productions since 1893 in the United Kingdom. Our own projects include ‘New Metaphors for Sustainability’, ‘Flowers Onstage’ and ‘Six ways to look at climate change and theatre’. The Directory has been live since 2000. 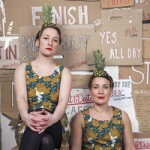 The Center for Sustainable Practice in the Arts and Festivals Edinburgh team up for a Greener Fringe. 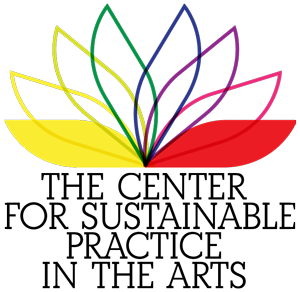 The Center for Sustainable Practice in the Arts (CSPA) is current taking applications for the 2012 Fringe Festival Award for Sustainable Production at the Edinburgh Festival Fringe, designed to reward sustainable practice in the production of a fringe show. This, the third, year, the award and programming is being coordinated with Festivals Edinburgh and Creative Carbon Scotland, who have joined forces to create the Edinburgh Festivals Green Venue Guide and will be bringing festival participants a series of high profile events at Fringe Central. The Award for Sustainable Production looks at public communication and education, resource use and transportation in support of presenting a fringe show. The award has been developed to integrate the ground breaking work of Julie’s Bicycle‘s IG Tools and San Diego’s Mo’olelo Performing Arts Company, who has created a comprehensive Green Theater Choices Toolkit. To be considered for the award, a production fills out an online questionnaire with questions that range from an inventory of materials used, to what public transportation lines run close to venues, to how themes about sustainability may be revealed in their shows. This Monday, the 6th of August, join us for How to Be a Greener Fringe Show, at 14:00 at Fringe Central (venue #2). It is a practical workshop, getting into the nitty gritty of greener shows including everything from touring to publicity, set design to audience engagement. In addition, Ian Garrett from the CSPA will be on hand after the presentation to answer questions about the award for sustainable production and its application process. Internationalism and the Environment, at Fringe Central, Saturday 18th August at 11:30, will be a panel discussion with David Grieg, internationally performed playwright, Kate Ward, General Manager of the London International Festival of Theatre, and Ian Garrett, Director of the Center for Sustainable Practice in the Arts. Join us for What’s the Big Idea? at Fringe Central on Wednesday 22nd August at 16:00. This session will be an open forum for a chance for you to air your views on how the arts can engage with environmental issue and how can we make next year’s Fringe the greenest Fringe. This event will include provocations from Erica Whyman, Artistic Director of Northern Stage, and Anthony Alderson, Director of the Pleasance Theatre Trust. To help get the greening of the Fringe going, there will also be two Reuse and Recycle Days on Monday 27th and Tuesday 28th August from 11:00 – 16:00 where you can bring Unused flyers, unwanted props, usable furniture, gorgeous costumes, venue and set construction materials for A combination recycling depot and free rummage sale at Fringe Center. How to Be a Greener Fringe Show – a practical workshop, getting into the nitty gritty of greener shows including everything from touring to publicity, set design to audience engagement. Internationalism and the Environment – a panel discussion with David Grieg, internationally-performed playwright, Kate Ward, General Manager of the London International Festival of Theatre, and Ian Garrett, Director of the Centre for Sustainable Practice in the Arts. What’s the Big Idea? will be an open forum for a chance for you to air your views on how the arts can engage with environmental issue and how can we make next year’s Fringe the greenest Fringe with provocations from Erica Whyman, Artistic Director of Northern Stage, and Anthony Alderson, Director of the Pleasance Theatre Trust. Reuse and Recycle Days – where you can bring Unused flyers, unwanted props, usable furniture, gorgeous costumes, venue and set construction materials for A combination recycling depot and free rummage sale. All events are free and unticketed. For more information on these events, or to find out how to take part in the Edinburgh Festivals’ environmental projects, contact the Environment Officer, Harry Giles at Festivals Edinburgh. 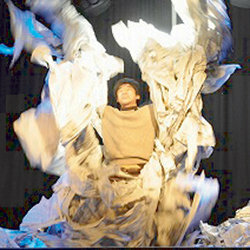 The Center for Sustainable Practice in the Arts (CSPA) announces the opening of applications for the 2012 Fringe Festival Award for Sustainable Production at the Edinburgh Festival Fringe. The CSPA Fringe Festival Award for Sustainable Production is designed to reward sustainable practice in the production of a fringe show. 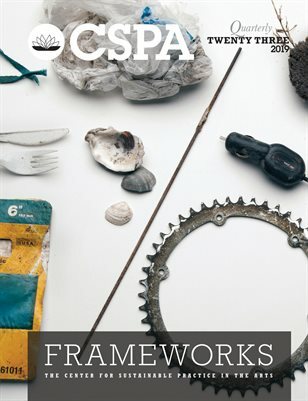 The recipient will receive a plaque and a feature article in an upcoming edition of the CSPA Quarterly, the CSPA’s print publication highlighting the most exciting work being done in sustainability and the arts. This year’s award, presented for the 3rd time, is being coordinated with Festivals Edinburgh and Creative Carbon Scotland, who have joined forces to create the Edinburgh Festivals Green Venue Guide and will be bringing festival participants a series of high profile events at Fringe Central. The winner of the Award will be announced on Monday, the 20th of August. The award is adjudicated by the CSPA Directors, Ian Garrett and Miranda Wright, along with CSPA affiliates. 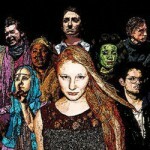 It looks at public communication and education, resource use and transportation in support of presenting a fringe show. The award has been developed to integrate the ground breaking work of Julie’s Bicycle‘s IG Tools and San Diego’s Mo’olelo Performing Arts Company, who has created a comprehensive Green Theater Choices Toolkit with a generous grant from the Theater Communications Group. For the Edinburgh Fringe, Mhora Samuel and Tim Atkinson from The Theatres Trust’s European Regional Development Fund-backed Ecovenue project helped the CSPA adapt the criteria for a UK audience, providing guidance on UK equivalents to US name brands, as well as providing insight on measuring conventions and policy. To be considered for the award, a production fills out an online questionnaire. Questions range from an inventory of materials used, to what public transportation lines run close to venues, to how themes about sustainability may be revealed in their shows. Because venues vary so greatly, and not all shows may be overtly about sustainable topics, all but the most basic questions are optional and all shows are encouraged to apply. Shows are encouraged, but not required, to provide a CSPA affiliate with tickets to their production to allow a trained eye to look at shows and projects as they exist in the real world. The CSPA Award for Sustainable Production at the Fringe launched in 2010 at the Hollywood Fringe and Edinburgh Festival Fringe. Previous recipients include: The Pantry Shelf (Edinburgh 2010), a satirical comedy that takes place in any ordinary pantry shelf, produced by Team M&M at Sweet Grassmarket; Presque Pret a Porter (Hollywood 2010), produced by Dreams by Machine; and Allotment (Edinburgh 2011) by Jules Horne and directed by Kate Nelson, produced by nutshell productions at the Inverleith Allotments in co-production with Assembly. The CSPA just anounced that the recipient for the 2012 award at the Hollywood Fringe, which has been given to D is for Dog by Katie Polebaum and the Rogue Artists ensemble, directed by Sean Calweti. It is produced by the Rogue Artists Ensemble at the Hudson Theater and continues to play through August 4th. To apply, fringe show producers can head over to the CSPA’s website at http://www.sustainablepractice.com/fringe or email fringe@sustainablepractice.org. Applications for evaluation will be taken up until the 19th of August, though it is encouraged to apply while it is still possible for a CSPA affiliate to view the show. All questions regarding the award by also be be directed to fringe@sustainablepractice.org. In addition to the award, the CSPA will be supporting Festivals Edinburgh and Creative Carbon Scotland’s events during the Fringe. How to Be a Greener Fringe Show, on Monday 6th August (14:00), is a practical workshop, getting into the nitty gritty of greener shows including everything from touring to publicity, set design to audience engagement. Internationalism and the Environment, on Saturday 18th August (11:30) will be a panel discussion with David Grieg, internationally-performed playwright, Kate Ward, General Manager of the London International Festival of Theatre, and Ian Garrett, Director of the Centre for Sustainable Practice in the Arts. What’s the Big Idea? 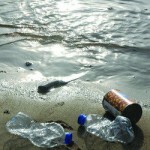 on Wednesday 22nd August (16:00) will be an open forum for a chance for you to air your views on how the arts can engage with environmental issue and how can we make next year’s Fringe the greenest Fringe with provocations from Erica Whyman, Artistic Director of Northern Stage, and Anthony Alderson, Director of the Pleasance Theatre Trust. There will also be two Reuse and Recycle Days on Monday 27th and Tuesday 28th August from 11:00 – 16:00 where you can bring Unused flyers, unwanted props, usable furniture, gorgeous costumes, venue and set construction materials for A combination recycling depot and free rummage sale. 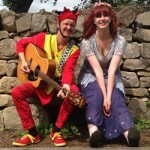 As an independent producer and designer, outside of the CSPA, Garrett has produced dozens of shows at the Edinburgh Festival Fringe. Garrett also serves as the Festival Producer for CalArts Festival Theater, a program of California Institute of the Arts’ School of Theater that enables students and alumni to bring work to the Edinburgh Festival Fringe, now in its 9th year. The Center for Sustainable Practice in the Arts (CSPA) has awarded the second CSPA Fringe Award for Sustainable Production at the Hollywood Fringe to D is for Dog by Katie Polebaum and the Rogue Artists ensemble, directed by Sean Calweti. It is produced by the Rogue Artists Ensemble at the Hudson Theater and continues to play through August 4th. D is for Dog explores the themes of family loyalty and compassion using iconic imagery from 1950s television blended with startling elements of horror and science fiction. Mixing puppetry, live actors, original music and video projection, the play takes audiences from the absurd to the terrifying, and everywhere in-between. The award is determined by the submission of a questionnaire about how the show was produced and audience response. D is for Dog‘s production team was able to provide comprehensive technical information for the production, which showed a commitment to design and resource efficiency. This considered approach also factored into their communications and marketing. All of these factors were further supported by the themes of the play. The CSPA Directors, Ian Garrett and Miranda Wright adjudicated the award, along with select CSPA affiliates and friends. The CSPA also supports a similar award for the Edinburgh Festival Fringe in August, going into its 3rd year. For the Edinburgh Fringe, Mhora Samuel and Tim Atkinson from The Theatres Trust’s European Regional Development Fund-backed Ecovenue project have helped the CSPA adapt the criteria for a UK audience, providing guidance on UK equivalents to US name brands, as well as providing insight on measuring conventions and policy. This year, the CSPA will be working with Festivals Edinburgh to further expand the impact of this program. It should be noted that director Ian Garrett has previously worked with the Rogue Artist Ensmeble. He was production manager on Gogol Project and Lighting Designer for Hyperbole:Origins. 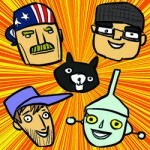 He was in no way involved with D is for Dog or other Rogue project since his work on Hyperbole: Origins. Among the bevy of shows at the Edinburgh Festival Fringe about Hitler, adolescence, Macbeth and stage spiritualists, there is a remarkable number of dance and physical theatre pieces with ecological themes. Consumerism and happiness, oil and politics, the Japanese earthquake, undercover policing, urban architecture and fear of the woods are among the ideas and sensibilities these shows are expressing. Theatre shows number highly this year, too, with around 70 that have ecological themes varying from the strongly activist to the bucolic. 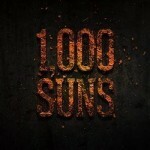 Shows about animals, food and an apocalypse always feature. This year, there are three shows walking to Edinburgh; shows about abattoirs, about the Deepwater oil spill and the Fukushima nuclear leak; and shows about a swamp, plastics, population and the price of milk.